JERSEY VILLAGE, TX (KTRK) -- The Jersey Village Police Department needs your help in identifying an alleged package thief. 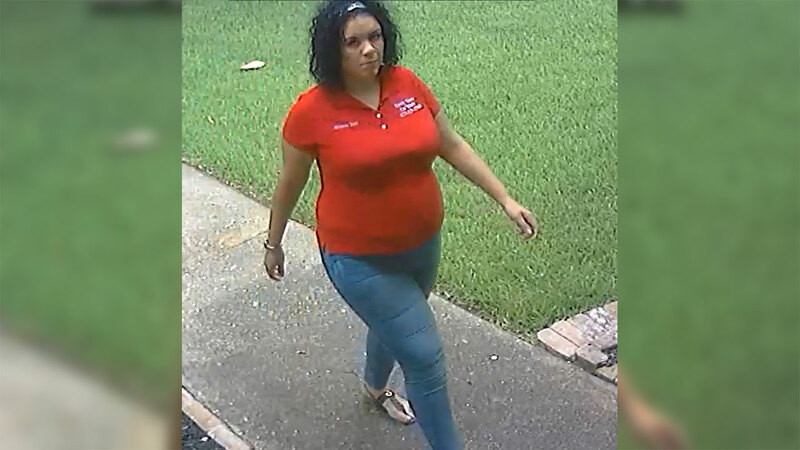 This woman was caught on surveillance video allegedly stealing a large package from Amazon right off of the homeowner's front porch. At one point, she stares straight into the camera. She's wearing a red polo with a name embroidered on it. Detectives have been checking with local businesses to see if the suspect works in the area. Call Jersey Village police at (713) 466-5824 if you know this woman. In the meantime, police say during these summer months when many people are travelling, make sure you put a hold on any packages that are automatically mailed out to you. They suggest if you can, get alerts sent to your phone when your packages are delivered or ship to your place of business or a neighbor's home. And if you can afford the expense, install security cameras.